In this article we distill frugal funeral planning into a boatload of simple, practical tips to help you plan a funeral on a budget. Whether you’re planning ahead for final arrangements or finding yourself in sudden need of some advice, you’ll find many economical and creative ideas below. Some of these frugal funeral planning tips are just about asking the right questions. Others are designed for the crafty and creative DIY crowd. Some may be present an approach you didn’t realize was a possibility, and others you may find just don’t suit your circumstances. That’s ok – there are plenty of ideas, and utilizing just one or two of these can save you quite a bit in the wide world of funeral products and services. The keys to an affordable funeral on a budget are simple: research and educate yourself, ask questions, consider alternatives, shop around, and do-it-yourself. Remember that you may have many willing family members who would love to take on some of these tasks, so don’t be afraid to delegate if that is an option. Also, don’t try to do every one of these because you’ll certainly overwork yourself. Sometimes it’s worth it to pay a professional to help – that’s what they are there for, and that’s why many people choose the professionals! So take into account your limitations of both finances and time and energy, then use this list and these frugal funeral planning tips as best as you can. Reading articles like this is the perfect start, of course. But learn a little more about final arrangements options as well. For instance, direct cremation is a very low-cost cremation option, and there are many “traditional” services you can forego to lower the bill. Call up the funeral homes in your area and ask for pricing. This will also help you decide if the funeral home is the right fit – if they get short and snippy, you’ll know it’s not a good fit. If they are friendly and helpful in explaining their pricing, it’s probably a great, service-oriented facility. 3. Be up front about wanting to keep costs down. Tell the funeral home you would like to keep costs to a minimum. It’s their job to make arrangements that suit your needs, and they can help you best when they know what you want. 4. Ask for an itemized price list. Once you’ve decided on a funeral home, ask for an itemized price list in advance of all the services you will be purchasing. This will ensure you don’t have any surprise charges tacked on. Just by talking about pricing, you may be able to work with a funeral home or crematorium to get better rates on certain products or services. Research average and low cost ideas beforehand so that your budget is reasonably attainable, but set a budget and stick to it. 7. Consider a different burial/disposition site. You may go with Funeral Home A, but find that the cemetery at Funeral Home C is either closer, more beautiful to visit, or less expensive. 8. Ask your clergy for help. Churches and other religious organizations often have some or many services available, either free for members or at a lower cost than at a funeral home. At the very least, pastors and clergy members can often give good recommendations. 9. Pre-plan as much as possible. The more you and your loved ones pre-plan for your funerals, the less “in the moment” decisions need to be made. Those are typically the more expensive ones. 10. Make the obituary brief. Often, publications such as newspapers charge per word. Make it short for big savings. 11. Bring a relative or friend. When you go to the funeral home to discuss arrangements, bring along a friend or relative who can be a little more impartial. 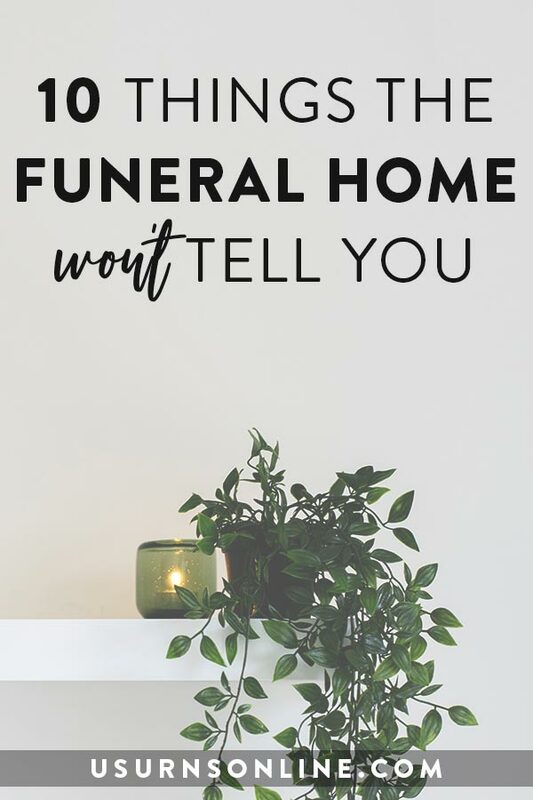 Most funeral directors are genuinely helpful and non-manipulative, but you’ll be surprised at how strong the pull is to add all the little bells and whistles. Having someone else there who knows what you want and what your budget is will help you save. More and more, the trend is away from the formaldehyde used in embalming. It’s terrible for the environment, and, more to the point of this article, it adds to your final bill. 13. Ask for low-cost burial plot locations. Sometimes cemeteries will charge more or less depending on the location of the burial plot. It doesn’t hurt to ask. 14. Skip the burial vault. Many cemeteries will require a burial vault in order to protect their grounds. However, state laws do not require one, so you may be able to call around and find a site which does not require a vault. If you chose cremation, you can save on funeral costs by not burying the remains at a cemetery. Instead, you can scatter the ashes or keep the remains at home. 16. Shop around for the burial vault. You may be able to price compare burial vault options; for example, we offer an array of burial vaults for cremation urns that meet the requirements of most cemeteries and can save you quite a bit. Ask about the different rates for visitation at the funeral home. Lessening the visitation by one or more days will often bring down the cost. 18. Have a home visitation. Alternatively, if you’re comfortable with it, consider having the viewing visitation at home. 19. Rent an urn or casket. Depending on what you choose to do for the final disposition, renting an urn or casket for the funeral or memorial service might make sense. 20. Make your own casket. Here is a tutorial on how to make a casket from a pallet. 21. 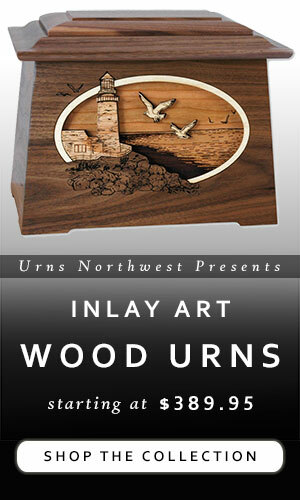 Make your own urns. Here are 5 tutorials, each using a different material or design, for a DIY cremation urn. 22. Order an urn online. 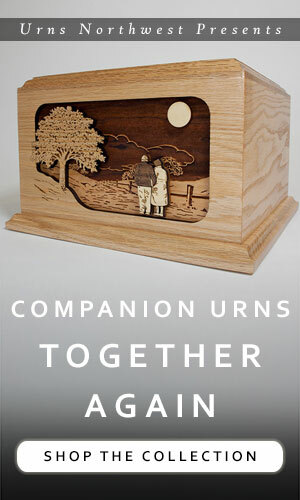 We have a wide selection of premium cremation urns at a much lower cost than most funeral homes. See here. 23. Order an urn in advance. Because an urn is fairly small and portable (about 10-12 inches at the longest dimension), you can get a cremation urn ahead of time and store it in your garage, attic, or closet. Just be sure to note in your final arrangements file where it is! This will save on any need for expensive rush shipping costs, and will allow you to get the exact urn you want at the optimal price, even if it needs several weeks to be made to order. 24. Ask about discounted urns/coffins. You can ask the funeral home or most online retailers, they may have scratch-and-dent, discontinued, or unlisted low-end items that they can offer you at more affordable prices. 25. Don’t buy an urn at all. The funeral home or crematorium will give you the remains in a plastic bag inside of a durable plastic or cardboard box. They call it a “temporary urn,” but you can make it permanent if you like. 26. Supply your own flowers. If the funeral home supplies them, it will likely cost more than getting them yourself from a local florist, or from your own flower garden. 27. Get one floral bouquet that makes a statement. One very nice and attractive funeral bouquet may provide a pleasing sense of balance and serve as a stunning and elegant centerpiece. Sometimes one premium bouquet will be more cost effective than several cheaper floral arrangements. If the funeral home recommends ten bouquets, you can do eight. Or one. Or none. Remember: You are in charge and it is up to you. 29. Don’t buy flowers from the funeral home. Sometimes the funeral home will have excellent deals, but just as often you can get nice arrangements at a grocery store for a fraction of the cost. As always, shop around. 30. Supply your own clothing. The funeral home may offer clothing for the deceased (for a price), but you will have a closet full of them available. You can always bring your own, or purchase an inexpensive men’s suit or women’s dress. Note: The clothing will likely be cut in order to aid the mortician in dressing the decedent. 31. 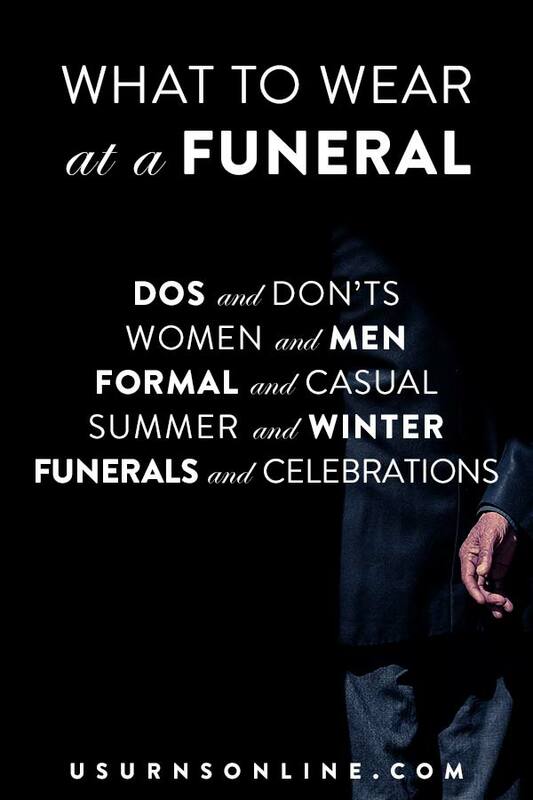 Don’t buy a new suit for the funeral. Of course you will want to be respectful in how you dress, but you don’t need to purchase new clothing such as a suit or dress for the service. Here are a few tips on what to wear. 32. Supply your own pallbearers. This will not only save you a line item on the bill, it will afford the men (and/or women) who were close to you or your loved one an opportunity to be involved. 33. Check for veteran’s benefits. If your loved one was a military service member, they will often have burial and funeral benefits available to them. 34. Check for funeral assistance programs. Here is a listing by state of funeral assistance programs for those who need it. 35. Consider a home funeral. This is growing trend, which is more work for you and your family but provides what can be therapeutic tasks that help you productively work through your grief while lowering your costs quite a bit. Here is a resource for home funeral ceremonies. 36. Do your own invites. Funeral homes will have nice options, but generally you can save big by choosing an alternative source. Send e-invites for free. Get dollar-store cards that you hand write or print at home. Even simple ones ordered from a local print shop will most likely be less. 37. Do you own thank-you cards. 38. Consider alternate reception venues. Churches, community centers, homes, and even parks can provide a location for the funeral reception. These often cost less than the funeral home facilities (but not always). 39. Order your own guestbook. Here is a low-cost yet “premium” option, and here is a popular “affordable” choice. And here are 18 more creative guestbook ideas, some more or less expensive than others but great inspiration in any case. 40. Make your own funeral table centerpiece. Try this low-cost DIY floral monogram as a centerpiece. 41. Make your own reception centerpieces. Here are 6 DIY candle centerpieces, and here is some more inspiration. 42. Make your own decorative memorials. 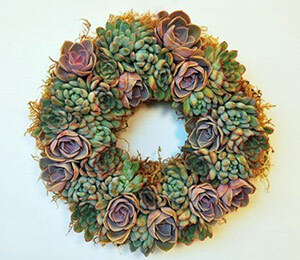 Whether for use at the funeral/memorial service or for a special display area in your home, here are 11 nifty memorial crafts you can easily do yourself. 43. Make your own memorial service favors. Here are 9 simple DIY memorial favors you might consider. You don’t need to host a big reception at a nice restaurant. Have a simple reception at home or at a fellowship hall. You can skip the reception entirely, have simple finger-food snack trays, or have a potluck reception. 46. Ask for donations instead of flowers. Everyone understands that sometimes money is tight. It’s ok to ask that people skip the $20-150 flower arrangements and instead provide a donation to help cover the funeral costs. 47. Start a crowdfund to cover funeral costs. Deposit a Gift is a crowdfunding website designed to help bereaved families in need. Go Fund Me is another popular option. 48. Have sympathy meals delivered. Many people will likely bring food after the death of a loved one. You can freeze the meal or the leftovers to last throughout the month. If you’re a relative or friend reading this to help a grieving family member, set up a “meal train” to deliver sympathy meals after the funeral. If you’re the grieving one, ask a friend or someone from church to start this up for you. It’s a huge help! Be sure to read our Complete Guide to Sympathy Meals After a Funeral for more info. 49. Get a good book. Funeral Planning Basics – a comprehensive resource. The Ultimate To-Do List When Your Loved One Dies: Before & After the Funeral – great for those who like to keep organized. The Ultimate Funeral Cost-Cutting Guide – This one is most on-point with tons of tips for saving on every aspect of funeral costs. Digital only. 50. Start a funeral fund. If you’re in the middle of planning a funeral right now, this may be advice that is “too little, too late.” But if you can, start saving for funeral expenses by setting up a separate account. This will help you determine a budget, and keep within that budget. Here’s How To Start A Funeral Fund In 5 Easy Steps. Is there anything we missed? What other ideas have you come across that helped save on funeral expenses? A friend of mine recently passed away, so I’ve been trying to help the family with the funeral services. I think he wrote in his will that he wanted to be cremated, so I think finding a cheap urn would help out the family a lot. I’ll have to check online or make my own like you said. Thanks for sharing! 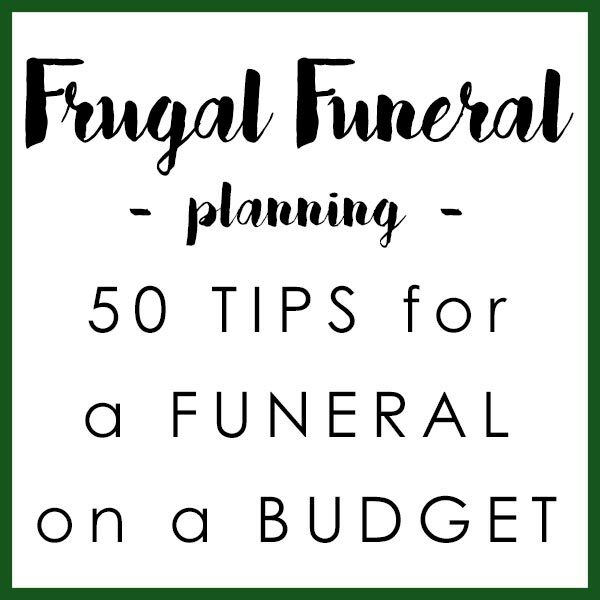 Thanks for your tip to make sure that you create a budget before you begin planning a funeral so that you don’t overspend. I like how you said that you should also make sure that you look into the types of ceremonies available before you settle on one. My husband and I are researching ways to plan a funeral and we are looking into getting some more professional help. I really like that you suggest pre-planning for the funeral as much as possible. My father in law passed away last weekend, and I’ve taken on a big portion of planning the funeral while my wife takes her time to grieve. Thanks for the information-I’ll be sure to keep it in mind moving forward. Nice tips, i like your blog and your tips are very useful for every person that thinks should have our pre funeral planning . I think that the most important thing that you said here was about educating yourself. Just like you mentioned, reading articles is a great place to start learning about funeral homes, what kinds of services they provide, how much money it would cost, and how long the process would take. My grandmother is getting a bit older, and I think that this information would be good for my parents to know so that they can properly help her figure everything out. Thanks! This is an excellent post. Thank you for sharing with us. My grandmother will be passing away soon and she wants a memorable headstone. We’ll have to consider your tip on a home funeral so we can have lower the cost of the funeral and still get her a proper headstone. Thank you for this resource as we go through this tough time.